As the Race to Singapore was decided for the women on Thursday, the Race to London remains completely up in the air. Andy Murray is certainly in the mix after taking wildcards into both Shenzhen and Beijing; last week he won Shenzhen after saving five match points in the final against Tommy Robredo. He needed three sets to get past Jerzy Janowicz in his first match in Beijing, but was never troubled by Pablo Cuevas in the second round. Murray will take on the US Open champion, Marin Cilic in the quarter-finals. 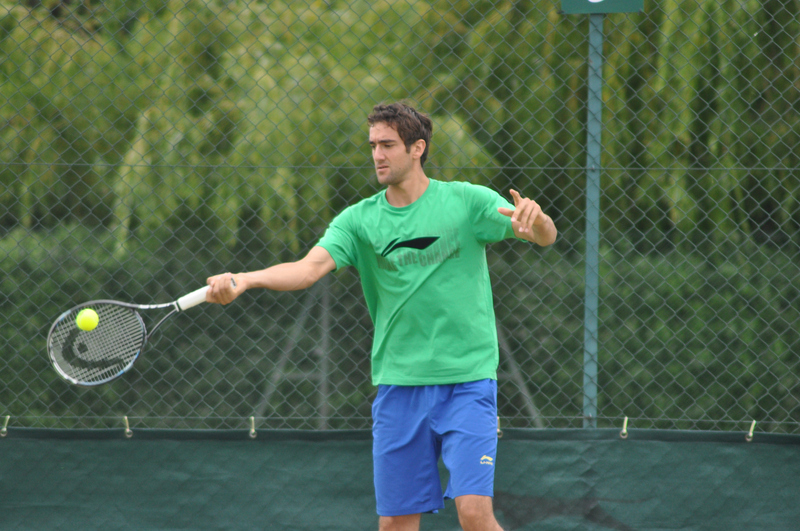 This is Cilic’s first tournament since that historic tournament. He has defeated Bai Yan (6-3 6-4) and Joao Sousa (6-3 6-3) in his first two matches. In their last match on tour, Cilic defeated Murray in straight sets in Rotterdam, 6-3 6-4. It’s an interesting dynamic to see how Cilic will respond after wininng a first Grand Slam match. Murray will be a big step up from his first two opponents, but I think on this fast hard court, Cilic will have the edge. A repeat of the Wimbledon semi-final between Novak Djokovic and Grigor Dimitrov will be the first match on the National Tennis Stadium on Friday. Djokovic and Dimitrov contested a slippery, slidey and ultimately, rather frustrating four set semi-final at Wimbledon. Since breaking new ground in his career at Wimbledon, Dimitrov’s year has simmered. He reached the semi-finals in Canada, but suffered a very disappointing loss to Gael Monfils at the US Open where he went out in straight sets, wasting a big lead in the second set tiebreak. Djokovic too, hasn’t been at his best since SW19 with some commentators speculating that his thoughts are more focussed towards the birth of his first child. 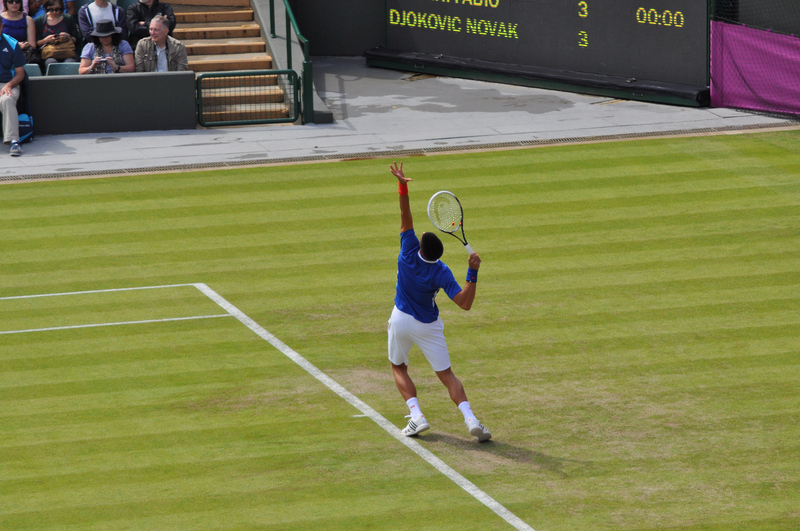 Djokovic came from a break down in the second set to defeat Vasek Pospisil in the second round, 6-3 7-5. Dimitrov has taken out two Spaniards: Fernando Verdasco (6-1 3-6 6-3) and Pablo Andujar (6-4 6-4). I think Djokovic will win this comfortably… i’m not sure why, but it’s a feeling. And for the record, my feelings are never normally good! October 2, 2014 in ATP, Beijing, Cilic, Dimitrov, Djokovic, Murray. I’m eager to see the form Djokovic is in. I personally think he’s become wayyy too complacent since regaining #1 and it cost him the US Open title. I’ll be rooting for Cilic to win. I predicted at the beginning of the year that he would be top ten going on top five and he’s REALLY close to making it.